For the past two weeks students have been working in Go Math Chapter 2. 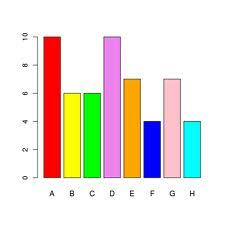 We have been learning tally tables, frequency charts, pictographs and horizontal & vertical bar graphs. Students collected their own survey data which we then used to create all of these types of graphs in class. The chart & graph packet is coming home for your review Friday 9/28. Please take time to admire and review your child’s great work. The homework for Friday 9/28 is review homework of skills we have studied in Ch. 2 thus far (P55-56). On Monday, October 1, 2012 students will have their first math Performance Assessment (PA). A PA is like a test, but instead of multiple choice questions students will be asked to apply the knowledge they’ve learned in a more “real world” situation. The Ch. 2 PA will look almost exactly like the chart & graph packet that your child is bringing home today. Students will be given a set of data and will be asked to create a tally table, frequency chart, pictograph, vertical bar graph with a scale of 2 and horizontal bar graph with a scale of 1. How Can We Study for a Performance Assessment? Will There Also Be a Test on Chapter 2? Yes, on Friday, October 5, 2012 students will have a short multiple choice test on Ch. 2 as well. They will be asked to apply the skills on the Performance Assessment in addition to Line Plot graphs which we will cover Tue, Wed & Thursday in class. Remember that if your child needs additional practice this week you can take advantage of the Reteach Book and video tutorials on Khan Academy. Enjoy! Reading Logs Begin 2nd Quarter!